The Bear and Son Hawkbill offers a solid slip joint design for convenient everyday carry. 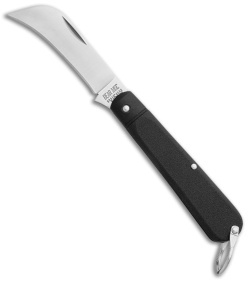 It has a 2.75" stainless steel blade in a hawkbill style. Black Delrin handles with nickel silver bolster and bail finish off the excellent design.